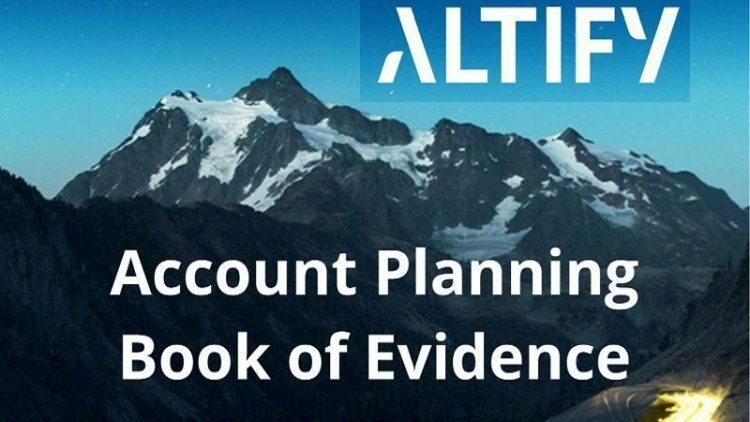 Altify, a global player in sales transformation, today announced its inaugural Account Planning Book of Evidence, a study developed from the input of 1,034 sellers and sales operations professionals from 62 countries, which examined the practice of account planning. The study’s findings were based on quantitative analysis of the submissions between February, 2016 and October, 2016. All amounts were calculated in US dollar currency. Where outliers existed in any of the data submitted, outliers were subjected to qualitative assessment for inclusion or exclusion. 74% of the participants cited higher win rates as the key benefit of account planning and 72% say account planning increased their sellers’ understanding of their customers’ business, which is crucial to building customer advocacy. 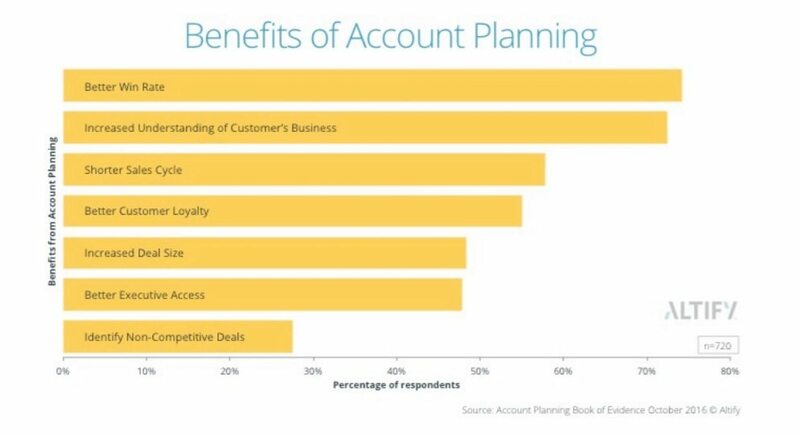 72% of the participants in the Account Planning Book of Evidence study cited “increased understanding of a customer’s business” as one of the key benefits of account planning. It is ranked number two in overall benefits (“better win rate” is first) and joined at number four by “increased customer loyalty.” This is not an accident. “At Altify, we believe the days of sellers waging battle against buyers are gone. Success comes from partnering with the customer and working toward a win-win outcome. That’s the only path to true success,” said Donal Daly, CEO of Altify. 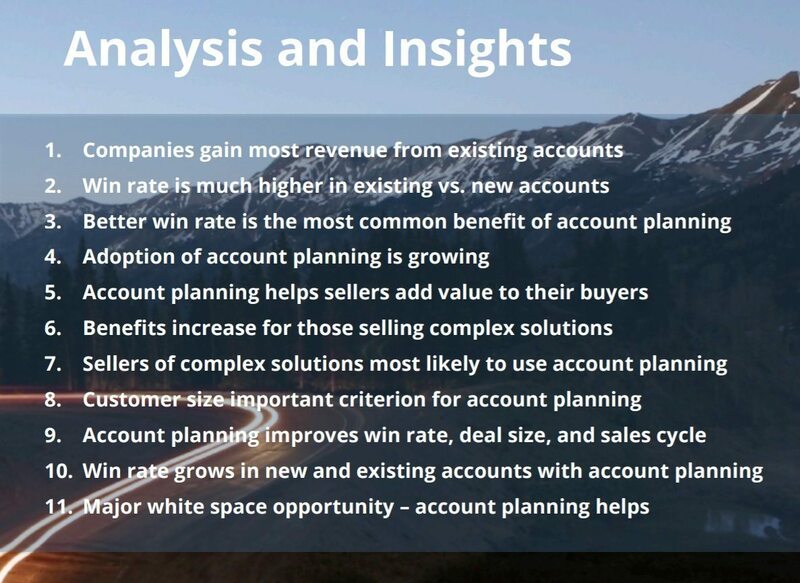 The study further stated that usage of account planning as a core sales strategy has increased from 36% of companies in 2013 to 50% today. This increased adoption highlights growing awareness of the need to get closer to the customer, but half of sales organizations are not yet benefiting from this proven practice. 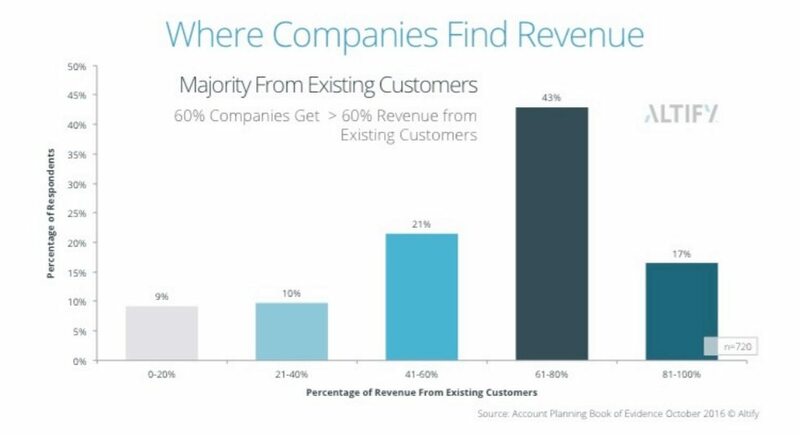 This statistic is even more compelling when one considers that in most cases, companies receive the majority of their revenue from their existing customers. In fact, more than 60% of companies receive more than 60% of their revenue from current accounts. Given that fact, and the actuality that account planning increases customer loyalty, the study states that more companies should look to this discipline as a foundational core of their sales, marketing and customer service strategies. 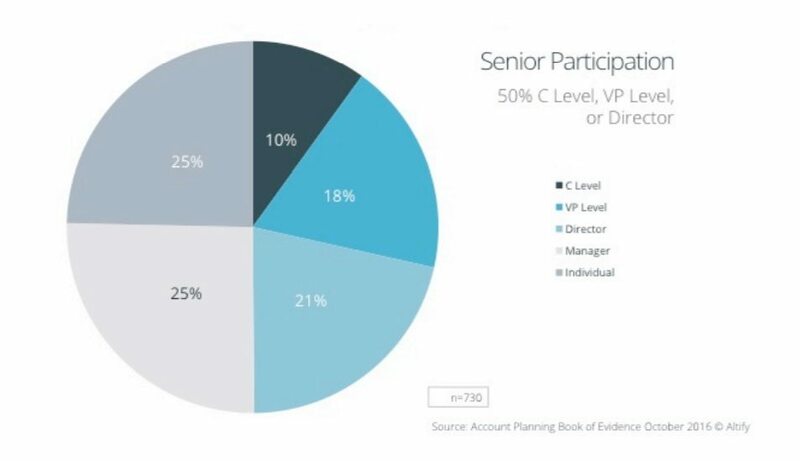 The study, hence, quantifies the impact of account planning on organizations that engage with their customers, to understand the perceptions of those who have not yet begun this journey, and to profile those for whom account planning is an initiative worth considering.